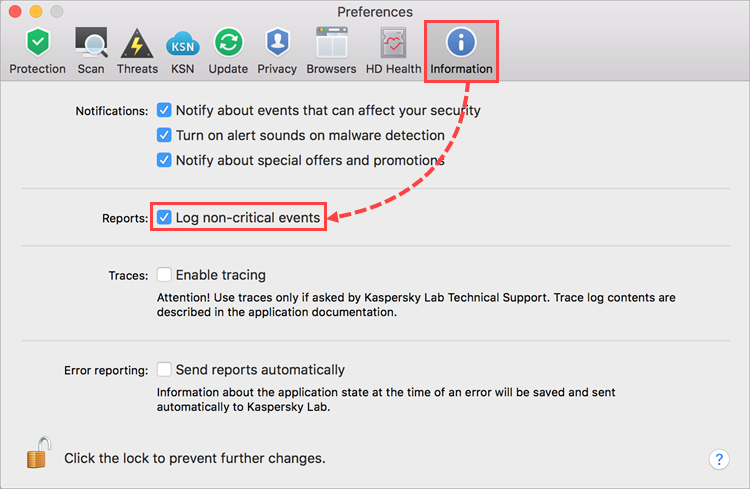 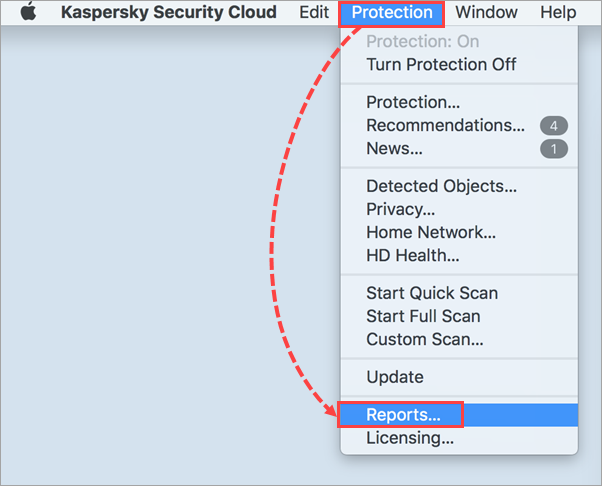 Kaspersky Lab technical support specialists may ask for scan or database update reports for Kaspersky Security Cloud for Mac. 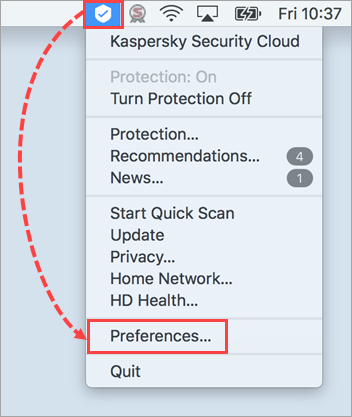 Click on the application icon in the top right corner of the screen and select Preferences. 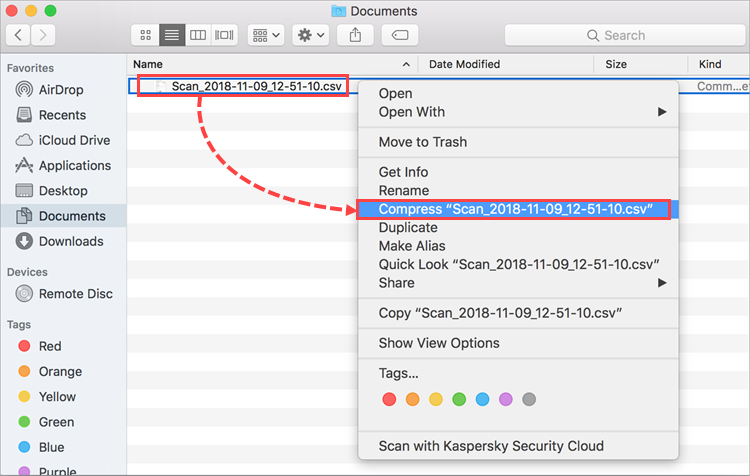 Run a scan or database update. 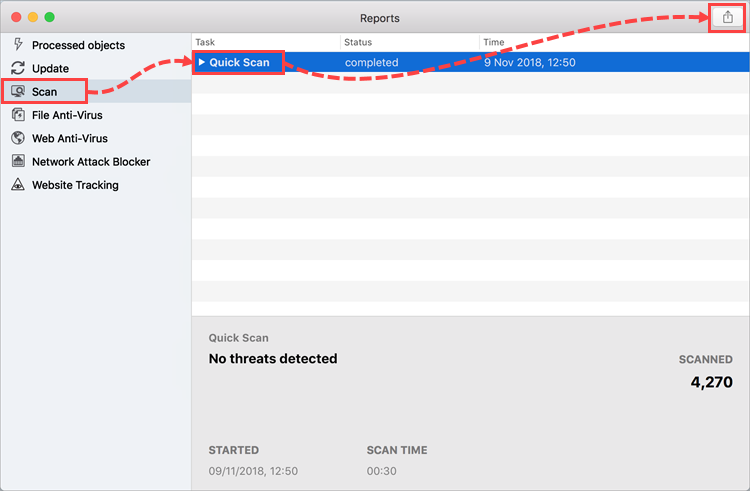 Wait until the process has completed or ended with an error.